Posted on July 21, 2017 at 8:30 am. DIY HVAC fixes are definitely a tough task especially if you don’t know where to begin. 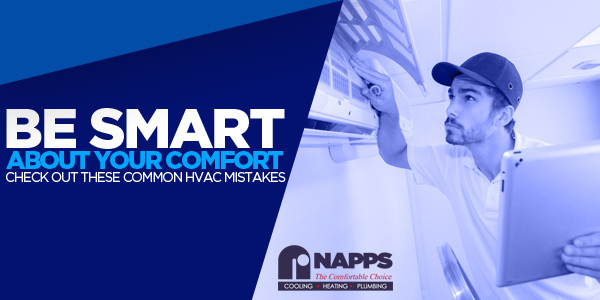 Most homeowners make mistakes in addressing the damage in their HVAC unit because they aren’t aware of what to do. Hence, the damage intensifies. We’re sure you don’t want to experience the same scenario as them. Check out these common HVAC mistakes to avoid. We understand that you’re after saving money, even when you’re living in luxury with your heating and air conditioning system. But mind you, doing it yourself does not guarantee you’ll save more money. Instead of tacking chances, it’s best to contact a reliable heating and cooling contractor in Longview, TX today to help you out. Your HVAC system deserves a yearly maintenance just like you need to go to your physician for a monthly check up. Any heating and cooling contractor would recommend you to maintain your system for efficiency and longevity. Sign up for maintenance schedule with your trusted service provider in Longview, TX as early as now. Filters on your HVAC system require regular cleaning and modification. Clogged and dirty air filters can lead to serious damage to the system, so it’s advisable to have them cleaned regularly. You should change the filter at least every 3 months or depending on the specs of the manufacturer. For homeowners who live with pets or a smoker, frequent change of filters is recommended. Your HVAC at home is one of your biggest investments. So beware! Never place them near your HVAC system because they surely won’t last long. Be sure that your TV, fridge or any heat-emitting equipment or machine are not too close to the system. If you want to secure safety in the family, better do this rightly. Hiding your heating and cooling system? This happens commonly to outdoor HVAC system where owners cover it with shrubs or anything that can hide it. You’re making a big mistake. Your HVAC unit requires proper ventilation so it can work properly and efficiently. Secure an open space around the unit. You can ask help from a trusted heating and cooling contractor for the installation. A durable, efficient and long-lasting HVAC system is within reach as long as you take good care of it. It’s best to look for a professional heating and cooling contractor to assist you all the way. 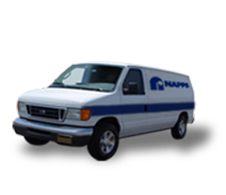 Contac us at Napps to learn more about HVAC maintenance.